ASSH 2019 will be held at Charles Sturt University, Bathurst in sight of the iconic Mt Panorama. All enquiries can be made to Dr Jaquelyn Osborne (SESSH-ASSH@csu.edu.au). Papers are encouraged to link to the major conference themes but papers on all sports history related subjects will be considered and where possible, grouped with similar subjects in the conference program. The conference will include three keynote speeches and concurrent, themed sessions on Days 2, 3 and 4. Each themed session will consist of three speakers and each will be allocated thirty (30) minutes – twenty (20) minutes for presentation and ten (10) minutes for questions/answers. This time frame will be strictly adhered to so that one speaker does not encroach on the time of another. Submissions can be in the form of an individual presentation or that of a panel (nomination of three speakers in one themed session) on a specific topic. Aunty Beryl Philp Carmichael (whose traditional name is Yungha-Dhu) was born and grew up at the Old Menindee Mission, New South Wales. She attended school there until the age of twelve. Most of her life was spent on stations in the top end of New South Wales until 1966, when she and her family moved to Menindee Township. She became active in Aboriginal community affairs and education, and has held a number of public positions. These include founding member of the Western Aboriginal Legal Service and the Alma Bugdlie Pre-School in Broken Hill. She was actively involved in the State Aboriginal Education Consultative Group, and was also an Aboriginal language Support Officer advising the New South Wales Board of Studies. In 2004 she was awarded the New South Wales Department of Education and Training’s Meritorious Service to Public Education Award. She has also been awarded a Centenary of Federation Medal for devotion to cultural awareness and contribution to Australian society. 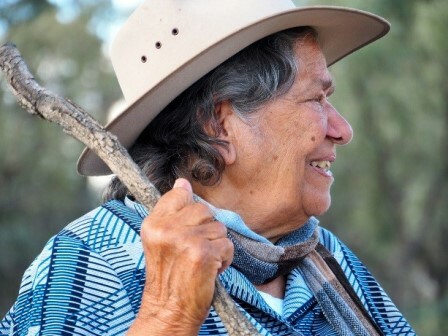 A documentary about her life, called Aboriginal Culture in the Murray-Darling Basin: Aunty Beryl’s story, was made in 1996 and reproduced by Gulaay, Charles Sturt University in 2012 in recognition of the important role she plays in Charles Sturt University’s learning and teaching community. Her book In the Footsteps of a Ngiyeempaa Elder will be published by Charles Sturt University in 2019. Toni Bruce is a former sports reporter and columnist who has been researching media representations of sport for over 25 years. A professor at the University of Auckland, she has published 3 books and over 70 articles and chapters. Drawing primarily from cultural studies and feminism, she interrogates sports media discourses, with particular emphasis on how ‘difference’ is represented. She is currently writing a book exploring how different discourses intersect in order to reinforce, challenge or shift the taken-for-granted norms of sports media coverage. 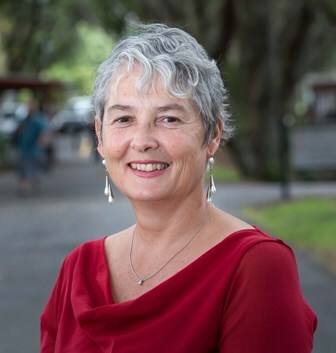 Toni’s lifelong commitment to women’s sport is evident in recent roles on the boards of WomenSport International and Women in Sport Aotearoa, and her ongoing investigations of media coverage of sportswomen. She recently distilled international patterns of coverage into 15 ‘unwritten rules’ of representation, and has drawn on third wave feminism to interpret the rise of the Pretty and Powerful female athlete in online spaces. Toni has presented her research in a range of creative storied forms including auto-ethnography, collective stories and ethnographic fiction. She recently published Terra Ludus, a novel set in New Zealand and the USA that explores key issues around women and sports media. 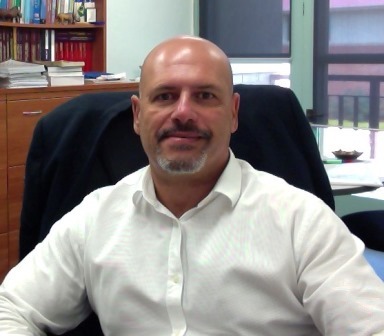 PhD is Professor of Physiology and Head of the School of Exercise Science, Sport and Health at Charles Sturt University, Australia. He has been a Visiting Professor at the University of Cape Town in South Africa, the University of Verona in Italy and Harvard University, Cambridge in the USA. In 2016 he was awarded the prestigious Memorial Spitfire Fellowship for his work on hydration and human performance in the heat. He has published over 100 peer reviewed papers and book chapters. His main area of research is in human temperature regulation and fatigue but has a keen interest in the historical roots of science of human performance. His book “Human Fatigue: Evolution, Health & Performance” looks at the evolutionary path that humans took in choosing endurance over power. The Conference Programme will be available in May 2019. The link above will take you directly to the Registration page: https://assh.shop.csu.edu.au/. If you experience difficulty, alternatively use https://www.shop.csu.edu.au/, click Events then “2019 Australian Society of Sport History Conference”. Registration and payment is available via the CSU online system. You will be guided through the steps for payment using a credit card and will be sent a receipt. All registration and payments must be received prior to the conference and are in Australian dollars, inclusive of GST. Cancellations requests are to be emailed to: SESSH-ASSH@csu.edu.au by COB Friday, 7 June 2019. Such requests will be accepted and all fees refunded less an AUD $100 administrative fee. Cancellations received after 7 June 2019 cannot be accepted and will not be refunded, however, transfer of your registration to another person is acceptable. The full name and details of the person who will replace you must be emailed to: SESSH-ASSH@csu.edu.au prior to the Conference. No refunds will be made for non-attendance at the Conference. Cancellation of Guest admission to the Conference Dinner and President’s Reception cannot be accepted and will not be refunded. The President’s Reception will be held at the National Motor Racing Museum which is situated adjacent to the iconic Mount Panorama racing circuit at the end of Conrod Straight. The Conference will be held in the Centre for Professional Development (CPD), Building 1285, Charles Sturt University, Panorama Avenue, Bathurst. Car parking is available in Car Park P7. Then it is a very short walk to Building 1285. The Conference Dinner will be held at Rydges Mount Panorama. This contemporary hotel overlooks the Mount Panorama racing circuit and is a 3 minute walk to the National Motor Racing Museum and 1.5km from the Bathurst campus of CSU. Positioned on the famous Mount Panorama racing circuit providing uninterrupted views of Conrod Straight and is 1.5 km from CSU Bathurst campus. All rooms and suites are stylish and comfortable, with a balcony or patio. Rydges Mount Panorama Bathurst offers a selection of apartment-style accommodation including studio, two, and three bedrooms. All self-contained apartments feature fully equipped kitchenettes with refrigerator, dishwasher, microwave and cook top, individually controlled air-conditioning, flat screen digital TV, FREE WI-FI, in-room safe, iron & ironing board, and hair dryer. Deluxe Studios include full kitchen facilities with oven, separate lounge and dining area, and corner spa bath. Two and three bedroom apartments and Penthouse are fully equipped. Rydges offer a CSU discount on all rooms and suites. Room rates begin at: $151.00 (breakfast and room upgrade at extra cost). To make a booking, email reservations_rydgesbathurst@evt.com or ring +61 2 6338 1888 quoting ‘CSU’ in order to receive the discounted rate. Adjacent to the Conference venue, ten (10) fully-serviced motel rooms have been secured, all with ensuite bathrooms. All suites are fitted with ISD/STD direct dial telephones, TV, fridge, toaster, tea/coffee making facilities, heating/air conditioning and electric blankets. Rooms are available as singles, double or twin share and rooms can accommodate up to three people. There is one fully appointed disabled room available. A guest lounge and a laundry are also provided for guests to utilise. The CPD Motel is a Self Check-in with all bookings to be made prior to the conference. Rate per night is $105 (up to 2 people) per room with an extra bedding cost of $15.00 per guest. Please email cpd@csu.edu.au or telephone 6338 6900 to request a booking form quoting: ‘2019 ASSH’. Twenty (20) rooms in a student accommodation block in the Macquarie Village have been secured (eight upstairs and twelve downstairs). All rooms are fully furnished with single bed, mattress, bar fridge, Wi-Fi/ data point, desk, wardrobe and chair with access to washing machines and dryers. Bed linen, pillow and towel are included. Please note this building has a shared unisex bathroom. Shared kitchen facilities are provided or you can join other catered guests for breakfast, lunch or dinner in the Dining Hall. While staying on the grounds at Charles Sturt University you are welcome to use the car parks and sporting facilities. Rate per night is $55 per room. Rooms will be allocated on a first-in basis after registration (and registration payment) is confirmed. Please email SESSH-Office@csu.edu.au or telephone 6338 4048 to secure an allocation.